"SmartVPN Sofware Review By Luz"
I think SmartVPN works pretty well, so it's one of the best VPN options today. You can easily mask your IP and keep it anonymous and secure while you browse the web. You can even use the system while you are at a WiFi hotspot. Whether you're trying to avoid hackers or intrusive government agencies, this VPN works. are scattered all over the world. As a result, the connection at the airport, for example, will not be noticeably slower. It also helps e.g. in programs where PING is important on remote servers, it is not so high. Well masks our IP and helps to preserve anonymity when surfing the Internet. By using hotpots, we are protected from hacker attacks. The disadvantage is the license for only one device. It also does not have a kill switch, so that our data can leak to the network. Another disadvantage is that the program saves logs. Smartvpn is a useful solution if you want to bypass the regional blockade. Using SmartVPN is protected against MiTM attacks and bypasses regional blockade. This app is very good to hide your privacy and also helps you to become ananymous. It gives you an another ip address of different country and also their customer service is very good. It automatically disconnects after almost one hour which is the bad most thing about it. I also comlaibed to the software makers but there was no reply regarding this problem. 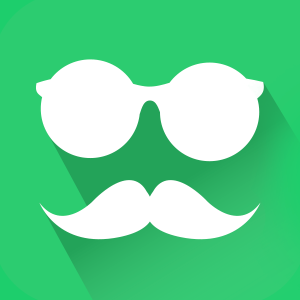 This app is very good to become anonymous but due to sudden disconnection problem, i stopped using it. "Meets average current standards on the market"
The service works completely fine. As described. Easy interface, good amount of available countries. The cheapest version of subscription is quite poor in features. Yearly discount could be higher. Average VPN services provider. Neither better nor worse. Good price for premium subscription if you are interested specifically in dedicated IP address feature for your business. Sometimes we need to analyse online markets "as locals" around the world. VPN helps in it. * We monitor all SmartVPN reviews to prevent fraudulent reviews and keep review quality high. We do not post reviews by company employees or direct competitors. Validated reviews require the user to submit a screenshot of the product containing their user ID, in order to verify a user is an actual user of the product. Hi there! Are you looking to implement a solution like SmartVPN?